The announcement was welcomed by incumbent President Abdulla Yameen, who is at loggerheads with the opposition, including the self-exiled former President Mohamed Nasheed. Amidst the political turmoil, Maldives will hold presidential elections in September, the election commission has announced. The commission has commenced preparatory works for the elections in September, according to an official statement yesterday without mentioning the date of polling. It noted that the commission has begun engaging with relevant authorities to collect data and information required prior to elections, noting the commission will release an official statement later. It said that a second round, if necessary, would be held within 21 days from the election day. It further said that the government recommended all political parties and politicians alike to work towards, making the upcoming elections free and fair, rather than engage in a battle to topple the government and to destabilise the nation. The Maldivian Parliament earlier this week approved extending the state of Emergency in the country by 30 days following a request by President Yameen. The state of emergency will now end on March 22. 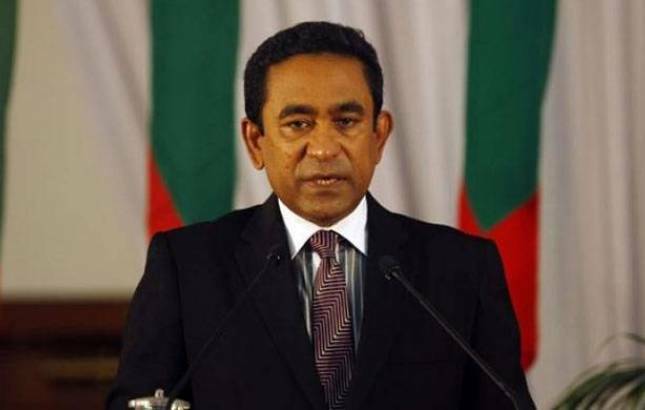 Yameen was sworn in as the 6th president of the Maldives in 2013, ending nearly two years of political turmoil in the Indian Ocean island nation. Yameen had requested for an extension following the Supreme Court ruling on February 1 ordering the release of detained opposition leaders, including Nasheed.